NASA has picked eight new astronauts, half of them women, according to a press release from the space agency. NASA said this was the "the highest percentage of female astronaut candidates ever selected for a class." The American space agency announced that the eight astronauts were chosen from among 6,100 applicants, the equivalent of a .0013 acceptance rate. The AP reports there are currently 49 astronauts at NASA. The newly picked group of eight will begin their training in August at Houston's Johnson Space Center. NASA's new hire announcement comes on the eve of the 30th anniversary of the late Sally Ride's historic mission as the first woman in space. Ride remains the youngest American in space, either male or female. NASA stressed that it chooses its astronauts based only on skill. Jay Bolden, public affairs officer at NASA, told CNN: "We have great female candidates in the pool this year. The selection is about qualifications. It has nothing to do with their genders." In a statement, NASA Administrator Charles Bolden said, "These new space explorers asked to join NASA because they know we’re doing big, bold things here—developing missions to go farther into space than ever before. They’re excited about the science we’re doing on the International Space Station and our plan to launch from U.S. soil to there on spacecraft built by American companies. And they’re ready to help lead the first human mission to an asteroid and then on to Mars." The newly chosen astronauts include Dr. Josh A. Cassada, Lt. Commander Victor J. Glover, Lt. Colonel Tyler N. Hague, Christina M. Hammock, Marine Corps Maj. Nicole Aunapu Mann, Army Maj. Anne C. McClain, Dr. Jessica U. Meir, and Maj. Andrew R. Morgan, M.D. Mann is the first female fighter pilot chosen by NASA in nearly two decades, according to the AP. 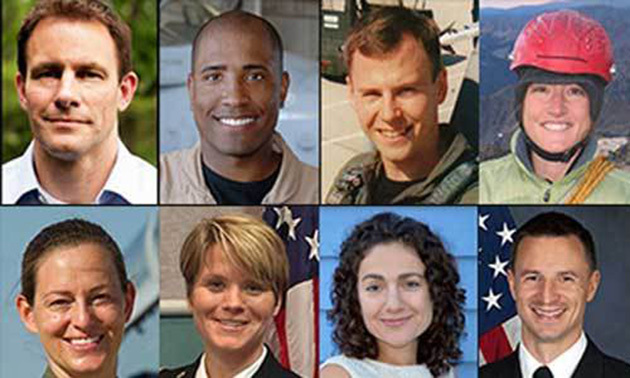 This class of eight is the first NASA class since 2009. NBC News reports that that group of nine astronauts graduated training in November 2011, but none have gone to space yet. "Michael Hopkins will be the first of that group to fly when he launches in September to the International Space Station," NBC News wrote.